There will always be laundry that needs to be washed. or folded. or put away. There is a constant stream of dirty dishes making its way towards the sink. Dinnertime arrives every 24 hours. But inspiration is not constant. We must create while we are inspired to do so. Because housework can wait... some more. Indulge in a little procraftination. Craft up a little fun while all the "must dos" turn into "must do laters". Love this. My new anthem. Absolutely : I agree wholeheartedly! 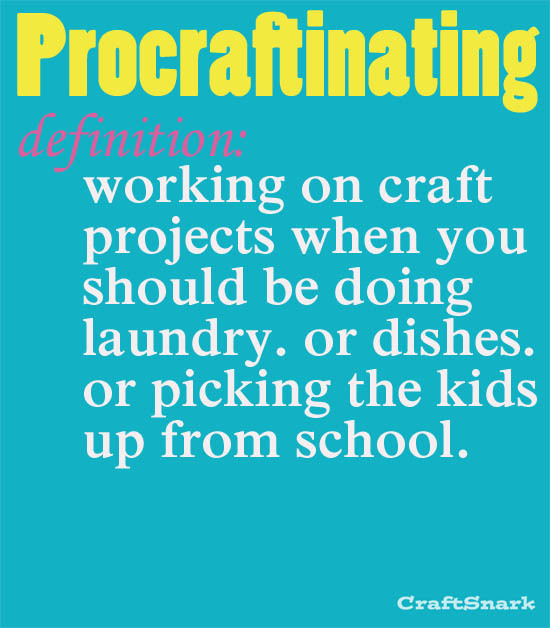 I just learned a new word:) My addition is when "should be getting ready to go to work".